The ocean has countless single-celled organisms that grow protective shells in order to keep themselves safe as they drift along, feeding off other miniature marine animals and plants. Collectively, the shells are so abundant that when they sink they provide oceanographers with a wealth of historic data regarding ocean chemistry. A collaborative team of oceanographers from the University of Washington, the University of California, Davis and the Pacific Northwest National Laboratory have used advanced tools to provide an atomic-scale view of how that shell initially develops. Results could help to answer fundamental questions about how these creatures grow under different ocean conditions, in the past and in the future. The research findings have been published in this week’s issue of Proceedings of the National Academy of Sciences. There’s this debate among scientists about whether shelled organisms are slaves to the chemistry of the ocean, or whether they have the physiological capacity to adapt to changing environmental conditions. He said that the new study reveals that they do exert some biologically-based control over the formation of shell. The results could ultimately help understand the way organisms at the bottom of the marine food chain will react to more acidic waters. Although the study focused on one organism, Orbulina universa, which is vital to understand climate in the past, the same technique can be used for other corals, plankton, and shellfish. The study used tools designed for semiconductor and materials science research to view the formation of shell very clearly as well as to see how the organisms convert seawater into solid mineral. We’re interested more broadly in the question ‘How do organisms make shells? We’ve focused on a key stage in mineral formation — the interaction between biological template materials and the initiation of shell growth by an organism. What is the Benefit of Marine Transport and Vessels? Davis is now at Australian National University in Canberra. These miniature single-celled animals, known as foraminifera, can only reproduce in their natural surroundings and not anywhere else, which prevents breeding them in captivity. 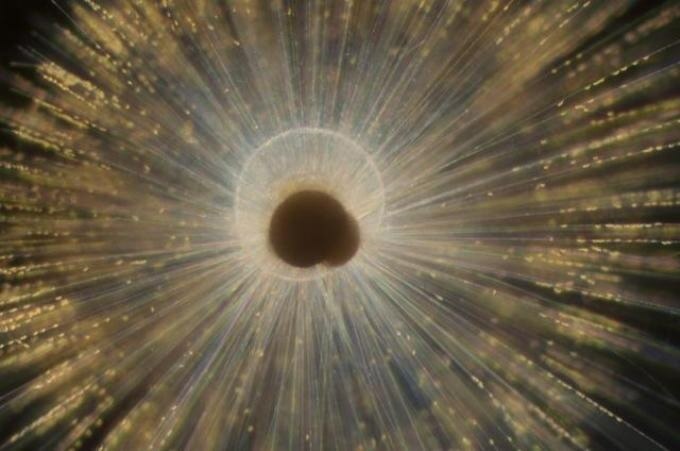 The researchers trapped juvenile foraminifera by diving in deep water off the coast of Southern California. They then grew them in the lab by feeding them brine shrimp using miniature pipettes during their weeklong existence. Marine shells are composed of calcium carbonate. They take in the carbon and calcium from surrounding seawater. But the animal primarily grows a soft template for the mineral to grow over. As this template is trapped within the developing skeleton, it serves as a snapshot of the chemical conditions during the initial phase of skeletal growth. To observe this chemical picture, the team studied minute sections of foraminifera template with a method known as atom probe tomography at the Pacific Northwest National Laboratory. This tool prepares an atom-by-atom picture of the organic template, which was located with a chemical tag. The results reveal that the template contains more sodium and magnesium atoms than anticipated, and that this could impact how the mineral in the shell starts to grow around it. One of the key stages in growing a skeleton is when you make that first bit, when you build that first bit of structure. Anything that changes that process is a key control point. The clumping indicates that sodium and magnesium influence the first stages of shell growth. If their availability alters for any reason, that could impact how the shell grows beyond what chemistry can predict. “We can say who the players are - further experiments will have to tell us exactly how important each of them is,” Gagnon said. Follow-up work will attempt to grow the shells and develop models of their formation to observe how the template influences growth under varied conditions, such as more acidic water. The research team also hopes that by better understanding the precise mechanism of shell growth they could slowly gather various aspects of seafloor remains so the shells can be used to recreate more than just the past temperature of the ocean. In the study, they illustrated that the template was responsible for creating fine lines in the shells - one instance of the rich chemical data encoded in fossil shells. “There are ways that you could separate the effects of temperature from other things and learn much more about the past ocean,” Gagnon said. Other co-authors are UW doctoral student Elisa Bonnin; Howard Spero, Ann Russell and Jennifer Fehrenbacher at the University of California, Davis; Daniel Perea, Zihua Zhu and Maria Winters at the Pacific Northwest National Laboratory; and Bӓrbel Hönisch at Columbia University. The National Science Foundation and the Department of Energy provided funding for this research.